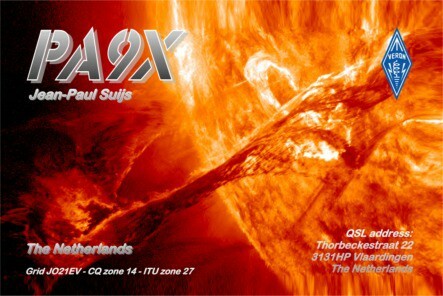 It took me a while to do it, but I designed a new QSL card. I am intrigued with solar activity and the influence on HF propagation, so I took a spectacular photograph taken by the NASA SDO observatory in space. It’s a filament floating on the magnetic field lines on the sun’s surface which is about to erupt. I had it printed by Tony Stefanov LZ1JZ who offers nice quality for a good price. Want to have it? Make a QSO with me. I am active on 80m to 6m band!